I am now +1 week cafeeine free. It was one of my New Year’s resolutions. I am drinking decaf in the morning, and laying off sodas (which I have been for a while now). And after reading articles like this one by John Hopkins Medical Center, with words like “mood altering drug” and “reinforcer” , I am glad to have quit this particular drug cold turkey. Question: How do you view America’s addiction to caffeine? Good, bad, or neutral? I don’t drink coffee too often – maybe once or twice a month just because I like the taste. So when I do drink it, I usually make my own at home and it’s decaf. I agree that we shouldn’t allow our bodies to be relient upon any drug – only the Holy Spirit. Plus, it’ll save ya some money :P.
I’ve heard some news reports that there’s stuff in coffee and tea that’s good for you though. Confirm/Deny? Well, about America’s most prominent addiction: I think we could be addicted to worse things as a whole. Although I do think that sometimes (speaking more of recent times) we put too much weight on productivity, and this leads to the idea that more needs to be done, equals us needing stimulants to get all that is expected of us (by ourselves or others) done, equals staying up later, maybe some decreased health, etc. This, in my opinion, plays into the need for America to have everything bigger and better, and to grow without ceasing. All that said, I will admit that I am personally addicted to caffeine, perhaps to the extreme, as I literally cannot function without coffee in the morning (often 2-3 cups), and basically get a headache if I go too long without it. I tell people that at this point I use caffeine just to get me to ‘baseline.’ So, yeah, really I have no right to judge others. But, being that I am in graduate school at the moment, going for my PhD in neuropharmacology , I also feel the need to comment on the ‘good for you’ statement/question. Some studies do show that caffeine from coffee and tea have beneficial effects, including (short-term) raising awareness and reducing lethargy, and (long-term) decreasing the risk of heart disease. These long-term effects are due to the fact that caffeine is a phosphodiesterase inhibitor (phosphodiesterase is an inhibitor of cAMP), which effectively raises ATP production, providing ‘extra’ energy for heart muscle to use. But it also promotes vasoconstriction which can aggravate high blood pressure. So, basically if you don’t already have high blood pressure it is putatively cardio-protective. Some studies also suggest that it has anti-oxidant properties; and it is known to have anti-inflammatory effects, which is why it has been promoted as good for the skin (along with the vasoconstrictive actions mentioned above), and added to many health and beauty products. Tea has many other added health benefits not from caffeine, as well as those mentioned above. 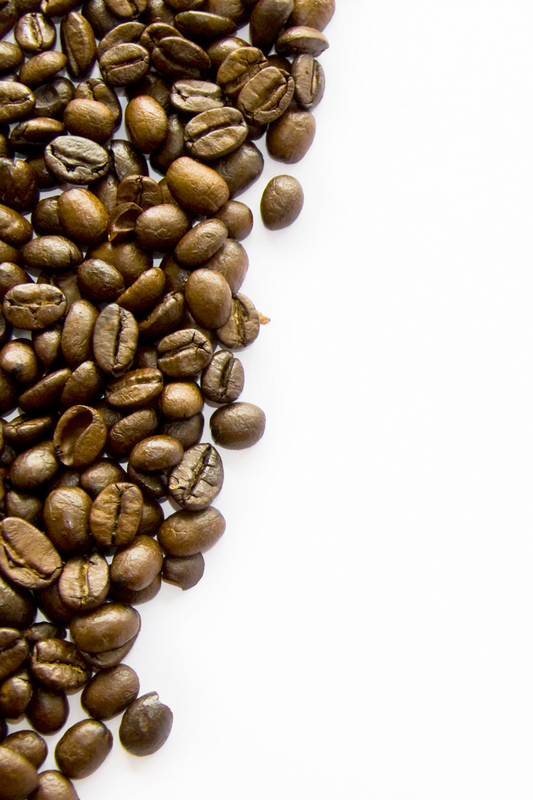 Overall, the benefits/risks of caffeine is a controversial topic among scientists, but most agree that, in moderation, there are no serious risks, and possibly some benefits. As with everything, it affects people differently, and has been shown to cause anxiety, GI disturbances, kidney issues (it is a mild diuretic), insomnia, mood problems, and or general ‘fuzziness’ in some cases. So, there is certainly reason to cut back, or remove it from the diet altogether – way-to-go, Marc! Thanks for the comment Callie. I find your expert (seriously) opinion a good read. I think you are right about caffeine addiciton being a result of our need to do more. But I also think it is a result of Starbucks, Coca-cola, PepsiCo, and the like understanding that if American’s are addicted, they will be reaching for their products more often. Don’t you think the science is there now to make these products taste okay without caffeine as an addative? I think so. Same thing with nicotine and cigarattes. These companies aren’t stupid; caffeine = profit. I understand the benefits of increased ATP production – my question is: do the benefits outweigh the concequences? As you say, that question is hotly debated. That is the scientific question. I am also concerned with the spiritual question that Cris raises. Does God want us having ANY “mood altering” substances other than His Spirit controlling our actions (no matter how “slightly”). That is my main wrestling match. I’m not losing sleep over it, mind you. But it’s an interesting developing conviction…. Right. I think the issue is to make the Word of God the norm, and not American culture. Which is a VERY difficult sell for a majority of Christians, much less the general populace. Oh, sure these things CAN taste fine without caffeine, and you are certainly right about part of the marketing being the addiction itself. In fact, Starbucks’ coffees (and some other gourmet brands) contain quite a bit more caffeine (over 50% more) than others, for this very reason, so this is a good point you bring up. As for whether the ‘mood altering substances’ are edifying, I think this is certainly something to think about, but it could be taken to the extreme as well. For example, if we say this about caffeine, we also have to include food, which can be very mood-altering, and affects the ultimate ‘mood-altering’ substances – neurotransmitters – in our brain. Not that there is not a Biblical perspective for eating right as well. I do think that we should question everything, though, so including these things in thought and debate is something to be praised. Of course, allowing only the Holy Spirit to sustain us is important, and Alicia makes a great point about ‘fitting the American standard.’ Christians shouldn’t. But I don’t think a few movies with cursing or addiction to caffeine is the biggest issue. The most important thing, I think, refers to what she said about her desires. We are free in Christ, and this is a radical concept that is true but that Christians sometimes don’t feel comfortable with (we like rules – in some ways they are easier). This freedom includes the freedom to not obey (of course this doesn’t please the Lord, but it doesn’t mean He doesn’t give us that freedom), and the freedom to be wrong (which WE don’t like). The crux is that ‘what we want’ changes as our ‘will is conformed to the will of Christ.’ And maybe, for some, that includes giving up caffeine. (ok, sorry my posts are so long, compared to everyone else’s). I don’t see a per se problem with mood altering drugs like caffeine and alcohol. I agree with Jason … moderation is the purification of the soul. In fact, the Bible states that the “mood altering” aspect of wine is a blessing from God (see verses below). Obviously, God’s Word also warns against drunkeness. The key is that being a slave to ANYTHING (mood altering or not) other than God is a sin. I’m not so much concerned with the “health factor” because pretty much 99.9% of the things we eat are bad for us to some extent. We live in the south … if we’re not eating BBQ or something fried we’re eating vegetables that have been hosed down with pesticides. He causeth the grass to grow for the cattle, and herb for the service of man: that he may bring forth food out of the earth; And wine that maketh glad the heart of man, and oil to make his face to shine, and bread which strengtheneth man’s heart.